Born and raised in Sydney’s South, Emily’s training and performing begun at a young age following her parent’s theatrical pursuits. It was here that her aspirations were sparked. In an effort to pursue her hopes of a career in performing, Emily trained at McDonald College Performing Arts High School. From there, she continued her training at ED5 International under the guidance of William A Forsythe and Elena De Cinque. She also trained extensively with prestigious vocal tutors Patricia Oertel, Gary May and Nicole Alexander. Upon graduation, Emily was cast in the 10th Anniversary Tour of Mamma Mia! as the Sophie Understudy. In 2010, she was cast as the Dance Captain and Swing of Jersey Boys, touring Australia and Auckland. Her other theatre credits include Blue Heart, Carmen: The Opera and Dead Man Walking. 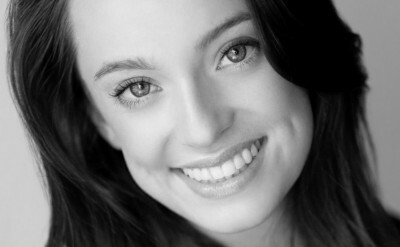 Emily was also a member of the company Tapworks with Chris Horsey and Nathan Sheens. Her film and television work includes East West 101 as Milana Holmes, and the NBC mini-series Natalie Wood: Hollywood’s Last Child as Natalie’s sister, Lana Wood, under the direction of Hollywood director Peter Bogdanovich. Emily is truly looking forward to joining these new adventures of Wicked, and would like to thank her wonderful family and friends for their enduring love and support.